Shearwater’s Animal Joy, their eighth album and their first release under Sub Pop, finds the over a decade old band going back to a much more straightforward rock sound. To think, Shearwater was once just a “side project” for Meiburg. I for one am glad that he left Okkervil River to devote his attention (and talent) to Shearwater full-time, as most of my favorite Shearwater records have come out after his departure from his day job. 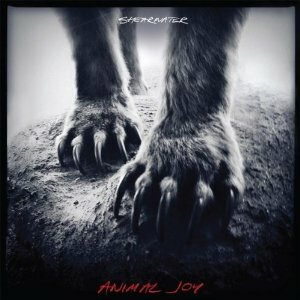 Animal Joy is a “joyful” collection of new songs and in this age of overly produced, sonic hissed-out, auto-tuned to death, electro-fill-in-the-blank music that’s often times forced down our ear holes, plain old rock and roll can be a welcome respite.